Bubble football, a new way of spending some nice, fun and recreation time with friends and coworkers. If you want to experience something new try Bubble football. It is a sport which involves a lot of your effort and creativity, at the same time it is one of the funniest sports, which is becoming more and more popular all over the world. But, how does bubble football work? All starts with the bubble which covers your upper-body and your head, this way you are secured from all the falls which will be experienced in a game, and sure enough there are many of them. However, it is a lot of fun and it takes you out of your comfort zone. 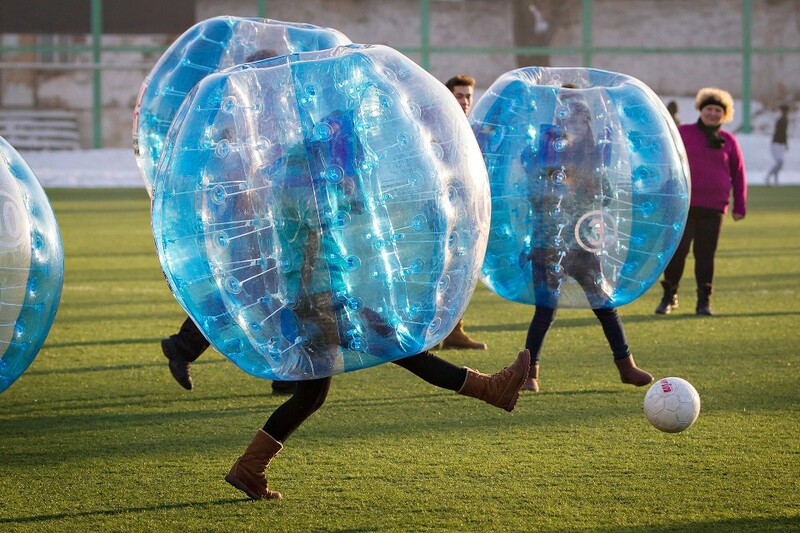 Bubble football is a match played 5 vs 5, the roles are the same as in classical soccer which is to kick the ball into the gate of the other team, but here you are allowed to go full contact and knock the opponents down. One the other hand, you can adapt your own roles based on the number of players and desires. 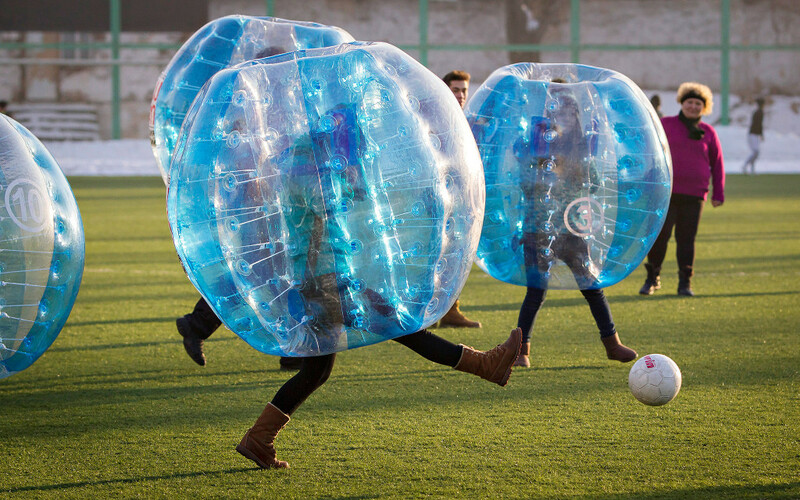 There are many ways of playing bubble football such as bubble bowling, bubble sumo and bulldog. Bubble bowling starts with a group of people who stands at the end of the pitch, while another player stands at the other end. Then his goal is to run into the group and know as many people down as possible. Bubble sumo is played by two players who are lined up in a circle; the main goal of this game is to push the other player out of the circle. Bulldog involves a lot of strength and cooperation, it starts with one player whose main goal is to knock as many players as possible, while they try to get from one end of the pitch to the other, and then whoever gets knocked down has to help the player to knock everyone else down. Bubble football is a wonderful and active way to spend your recreation time; it brings a new energy in your group of friends.